Mimi Berlin’s Fashion-Fest #8; The party celebration: Discotheque @Sexyland, 30 November 2017. Discotheque the Party-Celebration: A party hosted by Mimi Berlin, celebrating (almost) 5 years of Mimi Berlin’s Fashion-Fest. 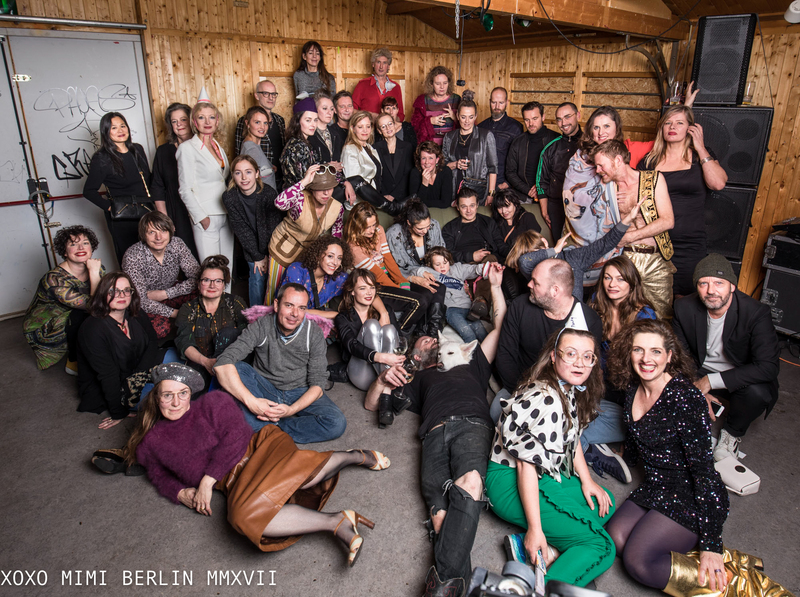 We had Music, we had Drinks, Snacks, Sauerkraüt, Partyhats, Photographers ànd we had 2 Group-Photo moments and we had FUN! A short clip by and for Mimi Berlin’s Friends and Families, a self-portrait: posing with the couch. The portrayed are all creative minds from The Netherlands. In daily life they try to make the world a prettier place by creating and sharing (mostly behind the scenes) in the fields of art, music, design, theater, illustration, photography, jewellry, perfume and food, and by just having fun in general. Group-Photo moment one. 19:53hrs /30-11-2017. Group-Photo moment two. 22:29hrs /30-11-2017.